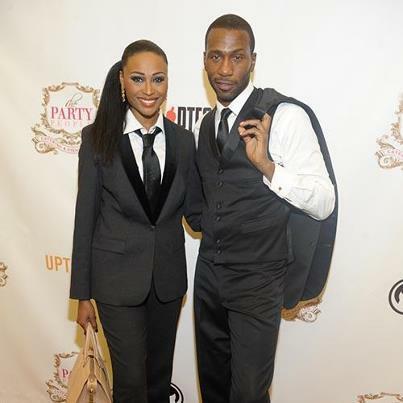 “RHOA” star Cynthia Bailey played nice with her ex and co-parent Leon recently at the “Salute To Excellence Awards” at the Biltmore Hotel in Atlanta, Georgia. Cynthia’s husband Peter Thomas served as one of the host of this event! influential” men who served as host for the event. “RHOA” co-stars Kandi Burruss and Cynthia Bailey posed for a picture recently at the “Salute To Excellence Awards” held at the Biltmore Hotel in Atlanta, Georgia. “Real Housewives of Atlanta” Season 5 premiere on November 4th!